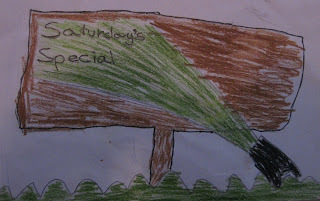 It's been a while since we ran a Saturday Special around here. Before you check out our Green New Year's Resolution Advice (TM), do grab a free feed. And why not follow or blogroll the dhaba if you do that kind of thing? If a prize would motivate you, it's not too late to get in our our Winter Subscription Drive. Find out more, and see our "Best of the Dhaba, 2009" list here. 1) Don't stand for sexual harassment on public transportation. Most guys don't grab body parts on our metros and buses, but a few bad eggs really spoil the ride for women and girls everywhere. And they get away for it because we all let them. This year, give someone a piece of your mind at least once. Find out more from people who are doing something about this at Blank Noise. 3) Become a vegetarian--or at least stop eating so much meat? If you need some inspiration, try reading Jonathan Safran Foer's excellent essay, "Against Meat" or see why Bhagwad gave up meat here. From the No-Easy-Answers Department comes this resolution reminder: Green Tech isn't all green! Many, many green products depend on stuff called "rare earth elements," which are not green at all. Learn more here and resolve to use less stuff and energy. Surprisingly, some people are still putting a bright face on the Copenhagen fiasco. Not Sunita Narain of CSE. Read about what she saw here. And resolve to look our world's problems in the eye. That's it for now. If you've got other ideas for Green New Year's Resolutions, why not put them in the comments section below? Kickstart Your Health in 2010! Based on research by Neal Barnard, M.D., one of America’s leading health advocates, this TOTALLY FREE program is designed for anyone who wants to explore and experience the health benefits of a vegan diet. I'm all for a vegan diet, though for me giving up yogurt would be tough! And I'm glad your program is TOTALLY FREE! No offense intended, but are you a bot? Don't get me wrong--I've got nothing against intelligence, artificial or otherwise. But I've never had a real conversation with a non-human than went much further than a purr or that thing parrots do! At any rate, do come back soon and feel free to give more details about Dr. Barnard's vegan diet research! I'm sure our readers would welcome such an exchange!